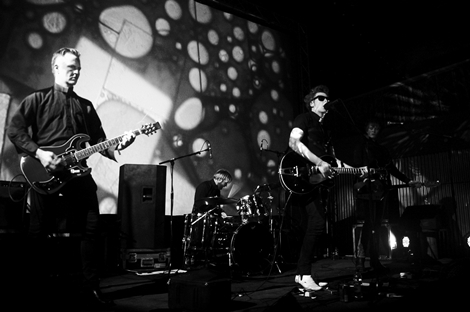 Former Spacemen 3 star teams up with design collective for one-off psych exhibit at Liverpool International Festivalof Psychedelia. 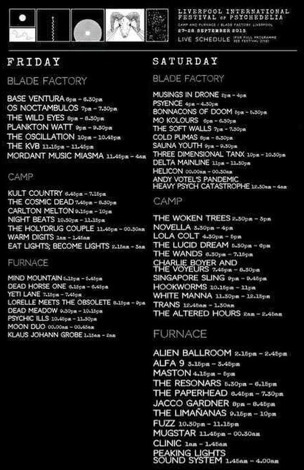 Liverpool Psych Fest organisers have announced their final addition to the two-day Camp and Furnace spectacular – a unique collaboration between Sonic Boom and London-based design collective Heretic. 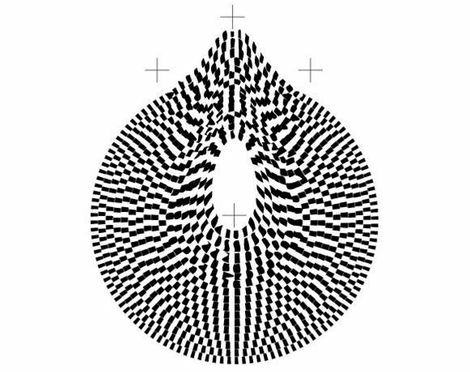 The two will come together for the premiere of an Arts Council supported project creating an immersive audiovisual installation within Camp and Furnace, which sees Sonic Boom create a new audio composition alongside an hypnotic visual sphere, combining light and print elements, from Heretic. 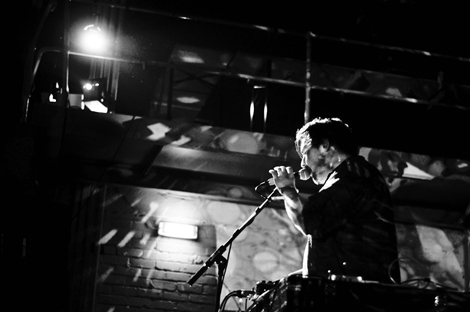 Meanwhile, the final live act to be playing at the festival is Trans. 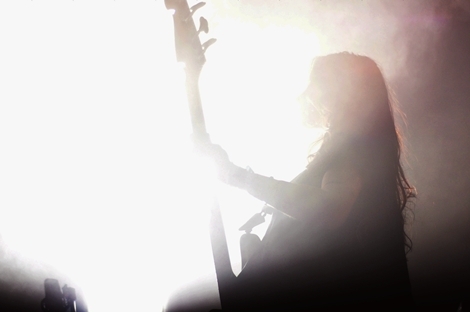 Sadly Besnard Lakes are no longer playing after cancelling their European tour. Programming for the non-music side to the festival includes a Psych Shorts Film schedule curated by Shindig! Magazine, which features a selection of the trippiest mind-bending cuts from all five corners of the cosmos. Elsewhere, Innerstrings will provide a psychedelic lightshow utilising vintage liquid and op-art projections visual artist Julian Hand will make use of glass slides, water coloured inks, coloured oils, and household chemicals for his The Portal show. Finally, Musing In Drone, a micro conference dealing with the modern psychedelic condition, will take place on Saturday afternoon as senior lecturer in Psychology at the University of Greenwich David Luke brings his views on psychedelic sound and perception. Musings In Drone will also feature a mind blowing trip into Britain’s psychedelic imagination with social historian Andy Roberts, author of Albion Dreaming: A Social History Of LSD In Britain. For full line-up information and artist details please visit here. 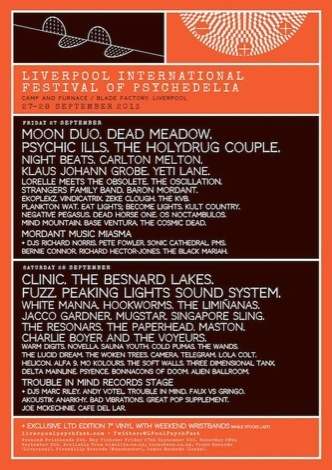 Liverpool Psych Festival 2013: Ty Segall’s Fuzz, Psychic Ills, Clinic and more announced. 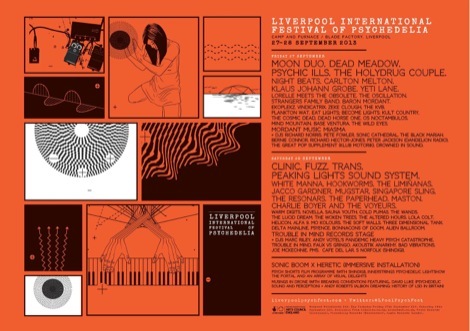 Liverpool Psych Fest announce final line-up plus limited edition record.